Star Primary’s curriculum aims to instil a love of reading, stimulate the imagination and enable the children to achieve their very best. 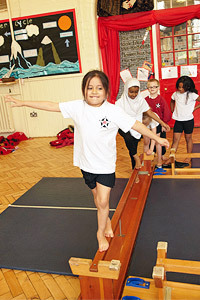 From Nursery to Year 6 we are proud of our broad, creative curriculum and wide ranging extra-curricular activities. Our school curriculum is ‘skills based’ but is taught to the children through a variety of creative themes so learning is fun, but also challenges pupils and ensures that achievement is high. 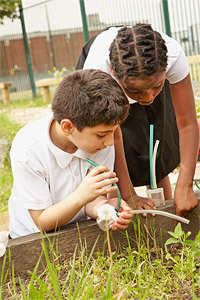 As a whole school we share curriculum themes, such as the River Thames, Journalism and Discovery. We believe in the power of stories to help children grow and develop as people and as learners, and in all year groups children begin their learning each term though a storybook. 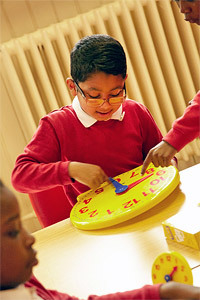 The arts and Sports are very important to us and we employ specialist teachers for Music, Languages and Sport. We are extremely committed to the development of ICT and computing to equip our children for the technological challenges of the 21st century. We aim to empower them to safely and effectively navigate the ever changing world of IT. 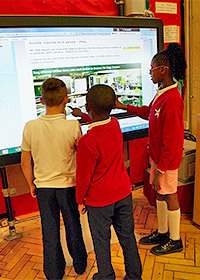 Children use desktop, laptop and tablet technology to support their learning across the curriculum. Star primary is committed to embracing IT to support learning and we employ a team of Computer Learning Managers to lead the improvement and delivery of the school COMPUTING development plan. They provide professional leadership, management and support across the school in order to secure high quality learning and teaching for all pupils by ensuring effective use of resources. The CLMs assist with the school professional development programme and deliver training where necessary to increase levels of IT skills of staff. Having a dedicated team responsible for the storage, maintenance and organisation of COMPUTING resources we are able to ensure that resources are available for the effective teaching. Music is a big part of life at Star. Our specialist music teacher teaches throughout the school and children have the opportunity to join a choir, learn a musical instrument or join a band. Year 5 children participate in The Festival of Voice along with four other Newham schools, a spectacular annual event to which parents are invited. Each half-term we hold a special Languages Day where the whole school is engulfed in a foreign language. Our lessons are planned to help teach the fundamentals of the chosen language and outside agencies are employed to run fun-filled activities where our pupils discover all about the cultures of the countries who speak that language.